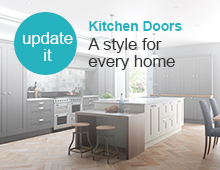 Retro Fitted: supplied in kit form and designed for tool less rapid assembly with the flexibility to position at heights to suit your provisions. 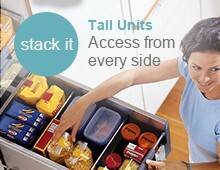 Set includes all required fixings and instructions. 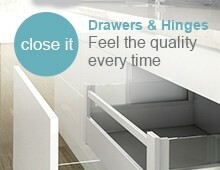 Pantry Pull-Out Comprises: full extending Quadro runners with integrated soft close, metal sides, backs and fascia's. 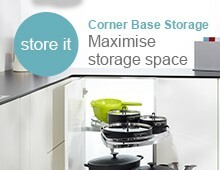 Colour coordinated MFC bases, sides, back and front are a steel construction, finished in silver coating. 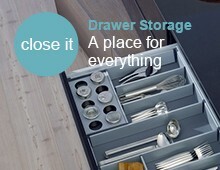 Pantry pull-out drawers require a minimum installation internal depth of 495mm. 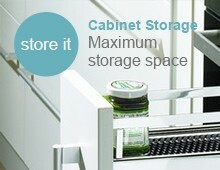 Cabinets should be constructed from 18mm thick sides.